Watercolor painting for kids is a great way for kids to explore different ways of mixing colors, creating beautiful and unique patterns and using fun and easy techniques. I love painting with watercolors and so do my kids! They are easy to use and produce such unexpected and beautiful results. Watercolors are perfect for younger preschool aged kids as well as older kids and tweens. Kids love watching their watercolors mix together on the paper and combine to create different color combinations and patterns. 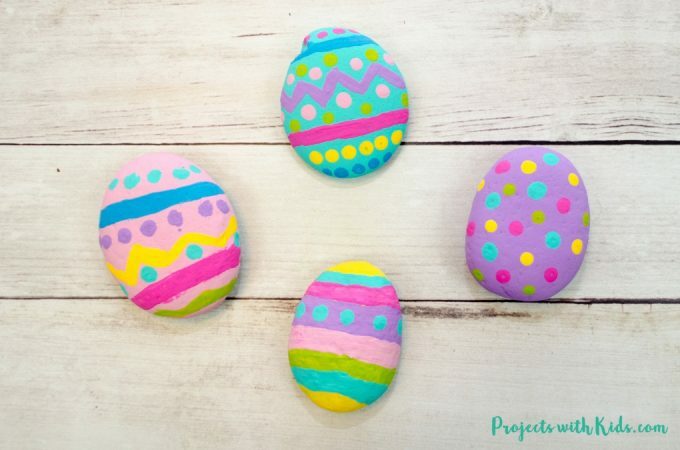 There are lots of fun projects for kids to try below! 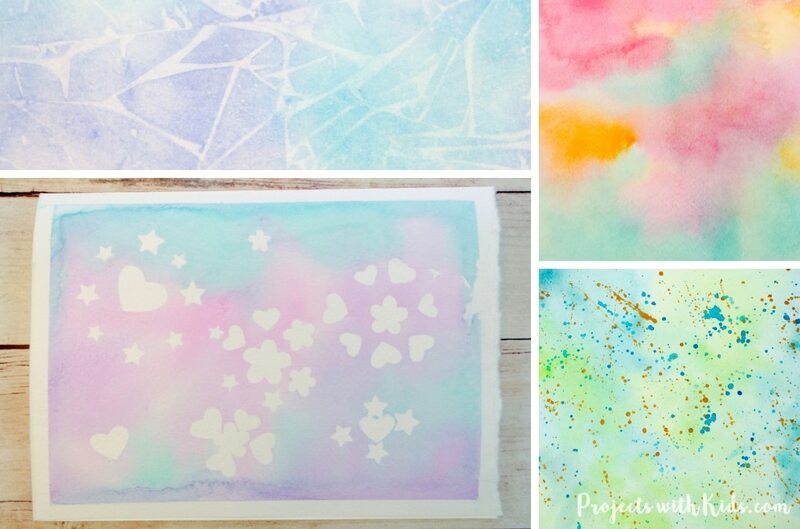 5 Easy Watercolor Techniques for Kids That Produce Fantastic Results – Easy watercolor techniques for kids are perfect for all ages and offer endless possibilities for creativity and fun. 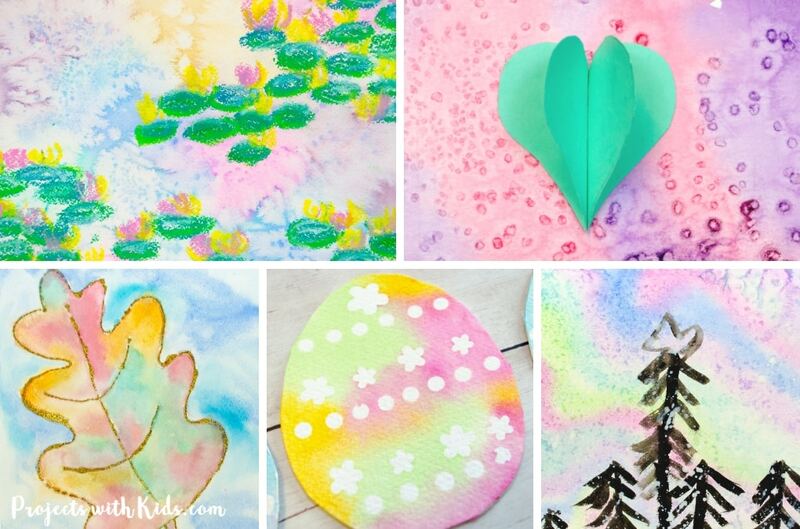 Kids will love exploring these watercolor painting ideas and learning new techniques. 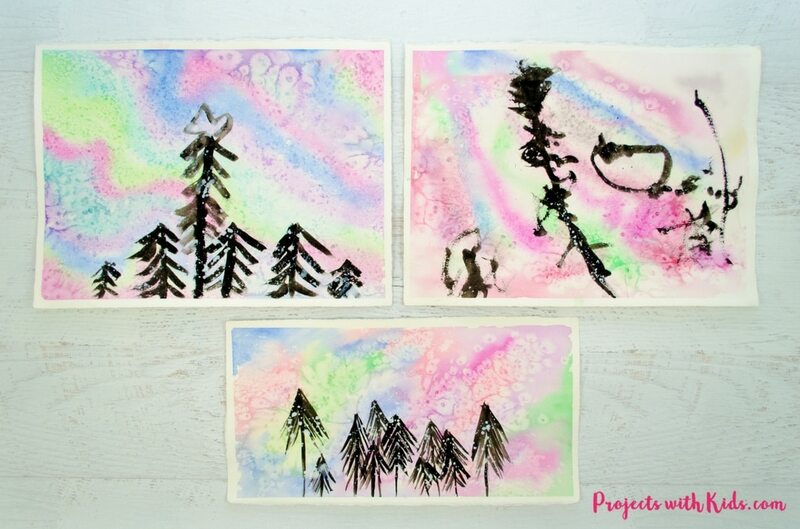 Northern Lights Watercolor Painting for Kids – Using a few very simple watercolor techniques involving wet paper and salt was all it took to create these beautiful Northern Lights paintings. 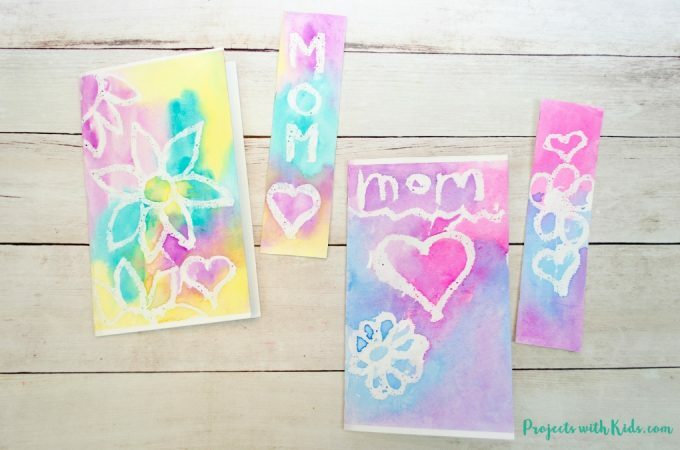 47 Creative Watercolor Painting Ideas Kids Will Love – These watercolor painting ideas will inspire you and your kids to create and have fun! 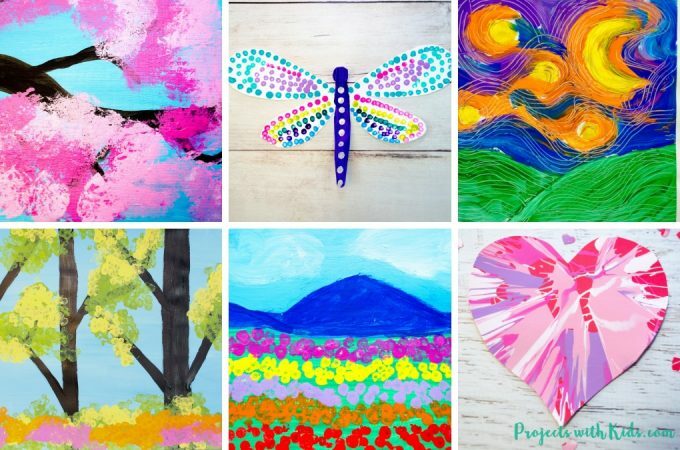 There are so many creative ideas for kids of all ages, you are sure to find one (or more!) that your kids will want to try. 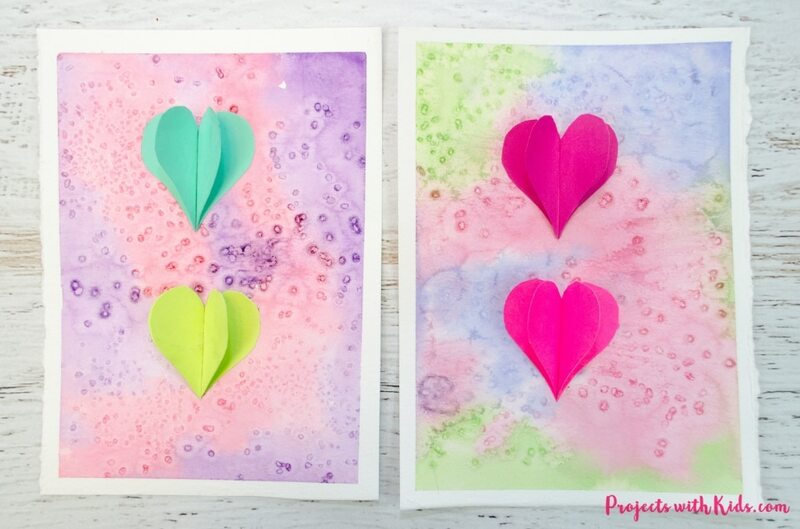 Mixed Media Heart Art Project for Kids – Kids will love exploring color with watercolors and using paper hearts to create this heart art project. 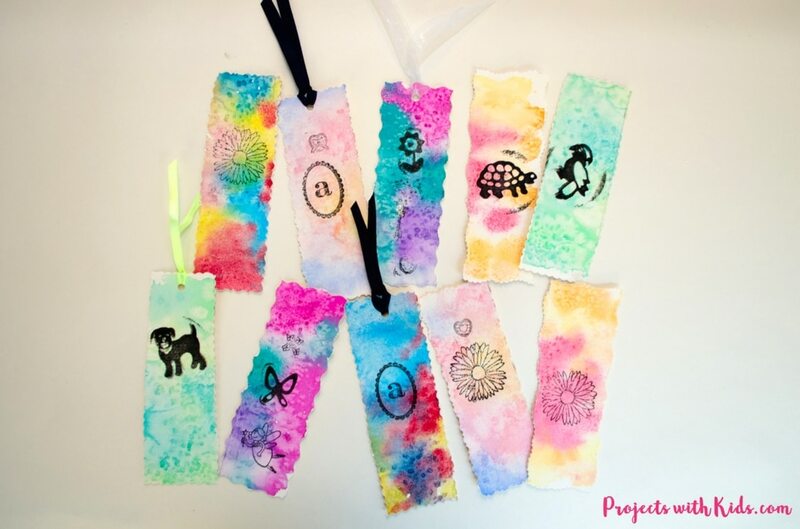 Unique Watercolor Bookmarks – These bookmarks turned out so unique and beautiful! Each one can be customized with types of stamps, choice of colors and edging details. These bookmarks make a great handmade gift idea. 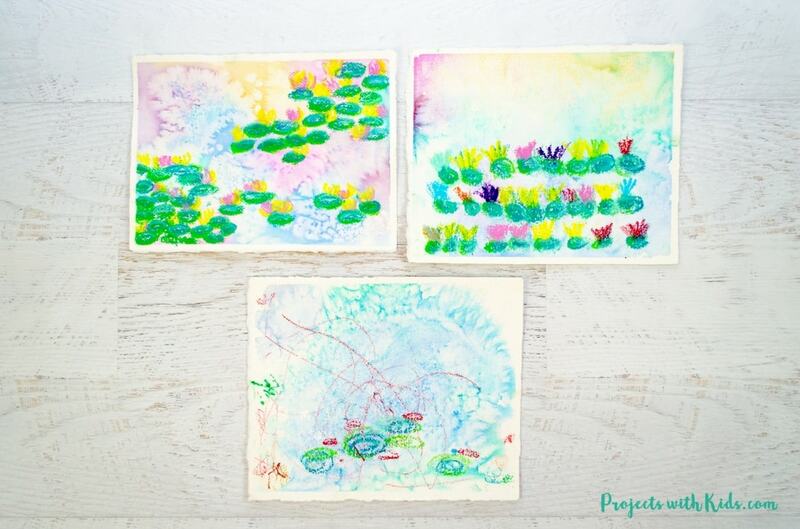 Monet Waterlilies Art Project for Kids – This art project is a great way for kids to learn easy watercolor techniques and explore oil pastels. 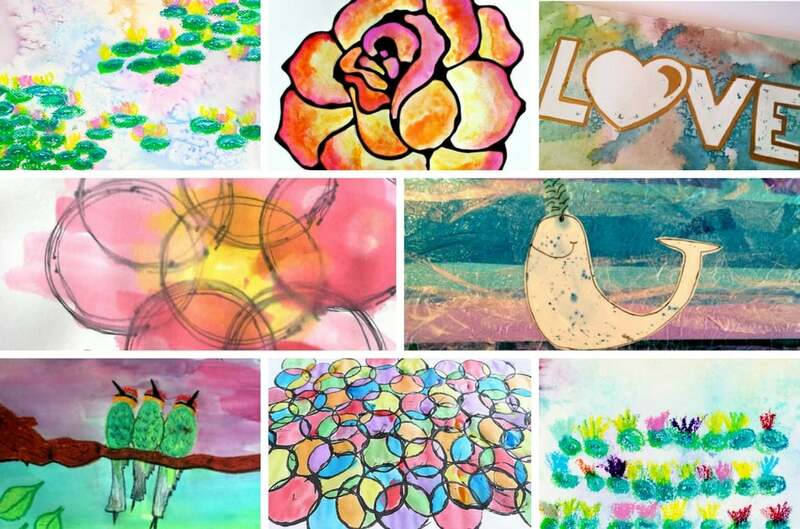 I love watercolors and the beautiful patterns that they create, and oil pastels are so colorful and vibrant, using them both in the same painting produces amazing results. We love to create seasonal and holiday art using watercolors. Take a look below for some awesome ideas. 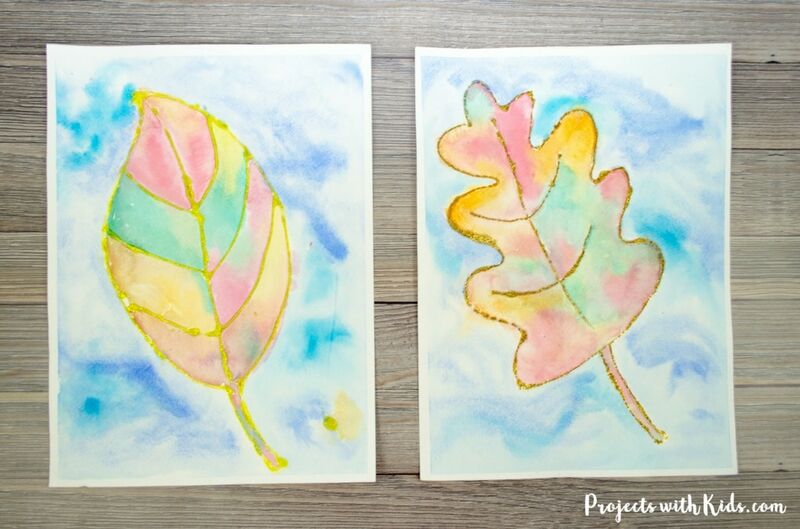 Fall Leaf Painting with Watercolors & Glitter – We used gorgeous autumn colors to create this fall leaf watercolor project. I have included 3 different free printable leaf shapes in this post. 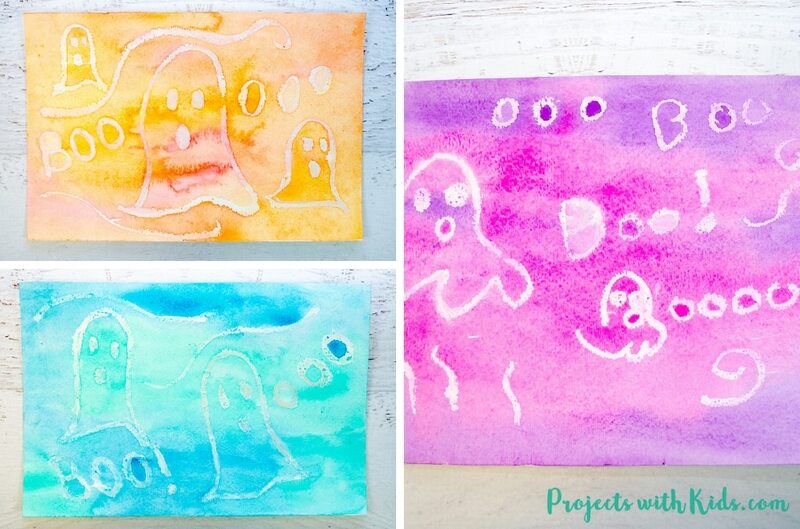 Watercolor Resist Surprise Ghost Painting – This is such a cool art project and easy technique for younger kids! We used bright colors for a fun, non-scary Halloween craft. 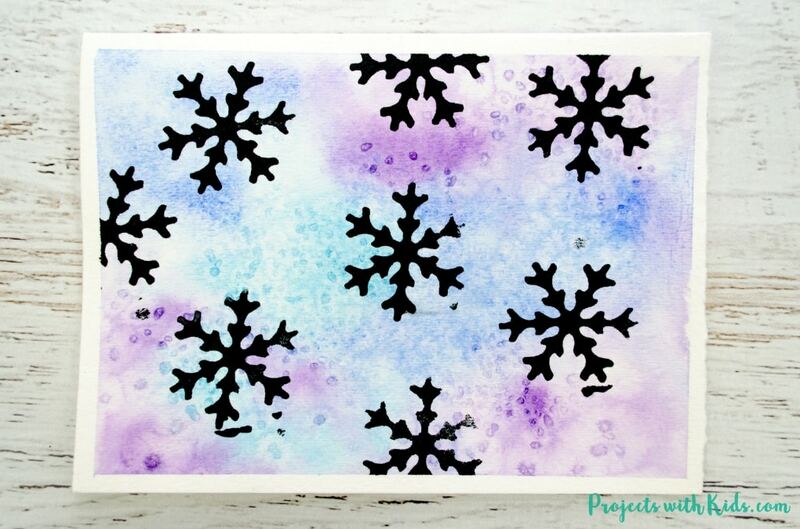 Snowflake Watercolor Winter Art – I love the wintery and icy colors in this project and the snowflake silhouettes give it a nice contrast. They were fun to make and would make great Christmas cards. 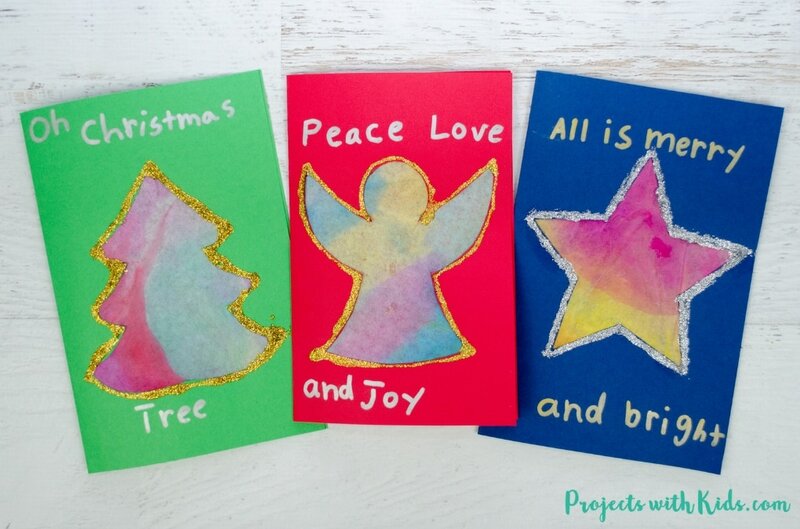 Colorful Kid Made Christmas Cards with Coffee Filters – I love how colorful and sparkly these Christmas cards turned out. Using coffee filters and watercolors was a fun new way to explore color mixing. A free printable template is included in this post. 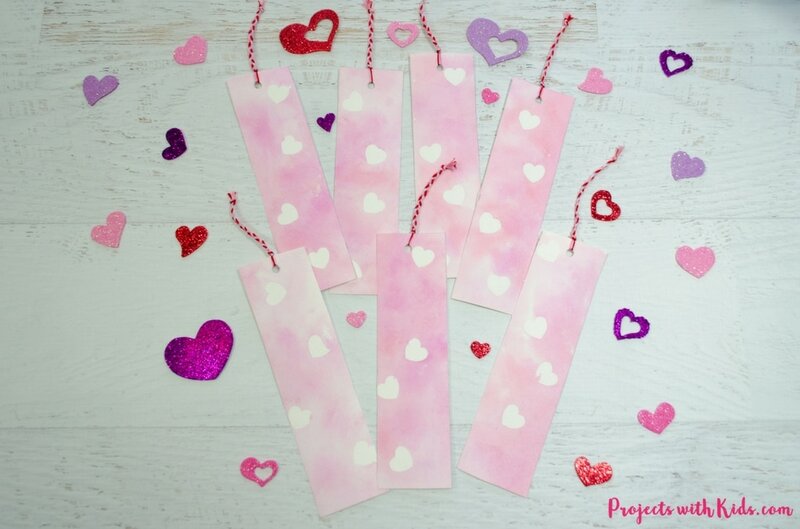 Sticker Resist Watercolor Valentine Bookmarks – These bookmarks were super fun and easy to make. 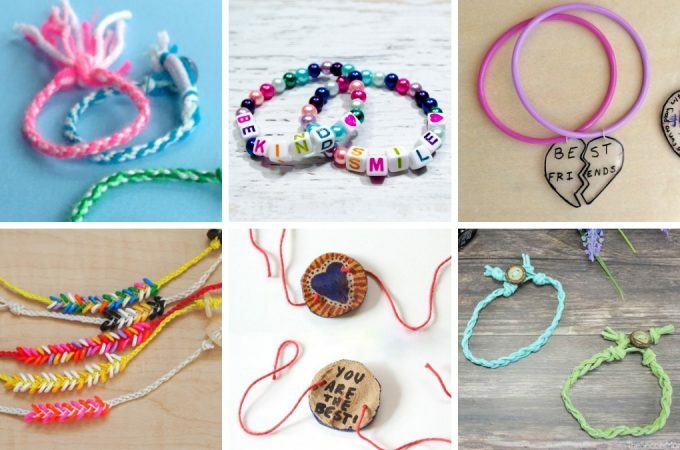 A wonderful project for kids to make for their teachers, classmates or families. 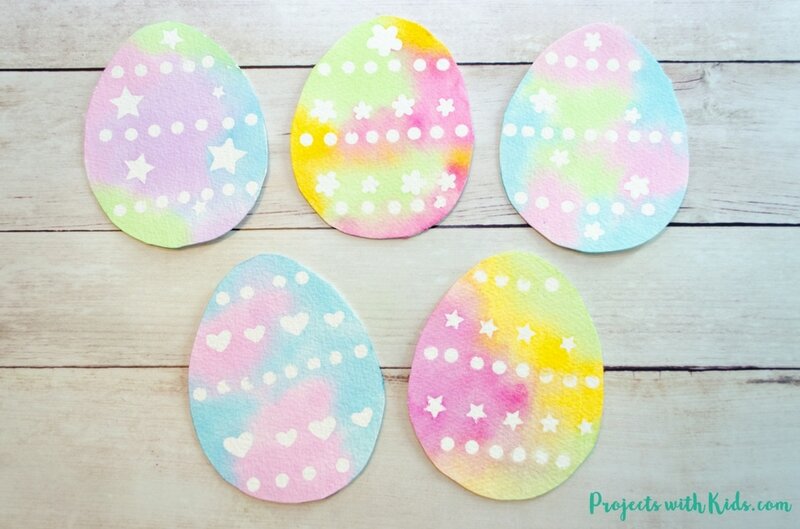 Create Simple Watercolor Easter Egg Art with Stickers – I just love all the gorgeous spring colors that we used in this Easter egg art project! Another easy resist technique that kids love. 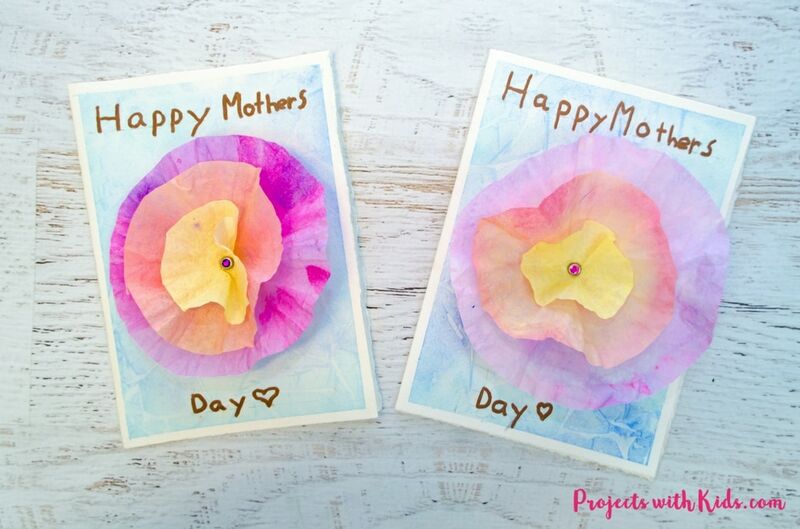 3D Flower Mother’s Day Card Craft – This Mother’s Day card is a beautiful art project kids can make for their moms or grandmas for Mother’s Day. Another watercolor project we did using coffee filters and a really cool technique for the background! Watercolor painting for kids is a fun way for kids to get creative, explore color mixing and learn cool new techniques. I hope you get a chance to check out some of the awesome ideas above. There are a ton of art supplies out there for kids, it’s hard to know what to choose! Below are some of my favorite supplies to get you started.